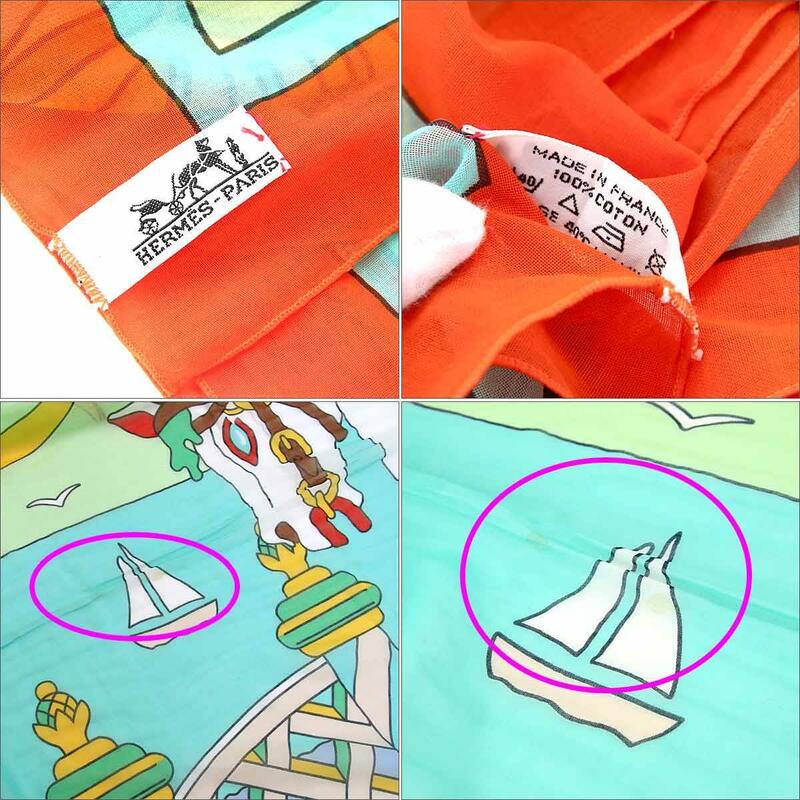 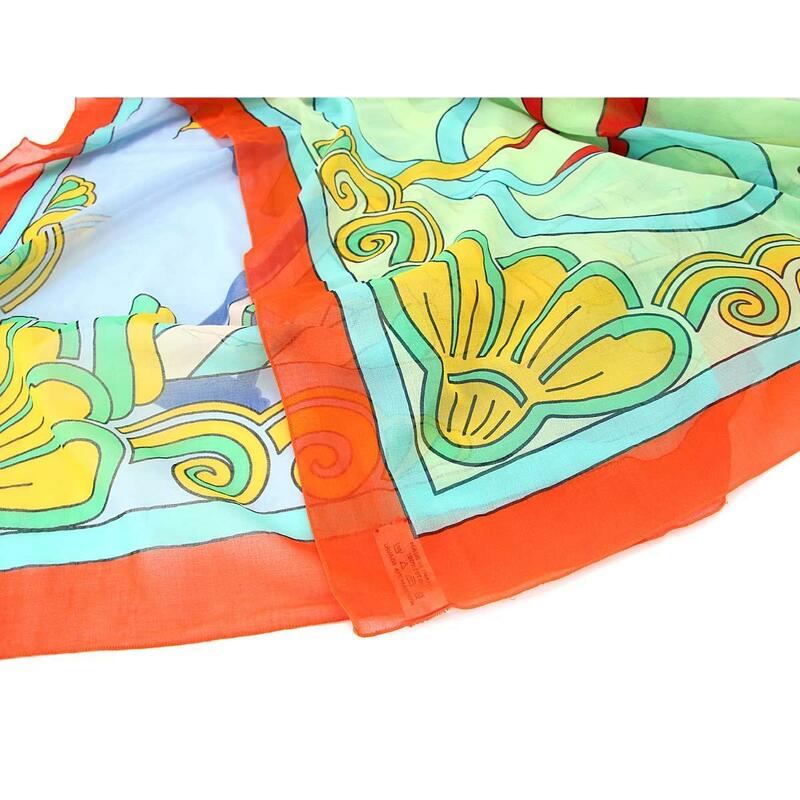 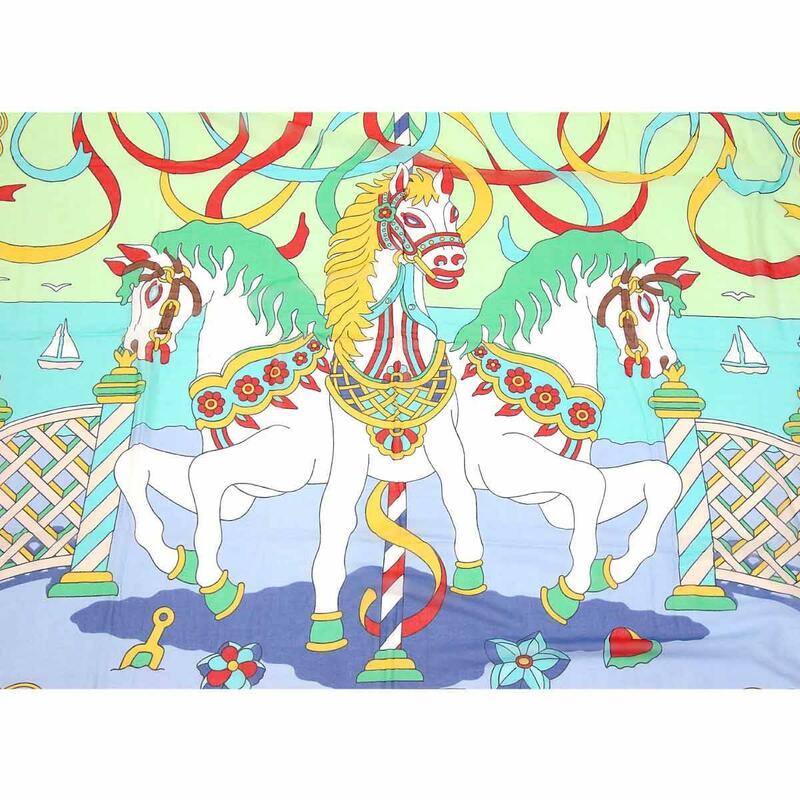 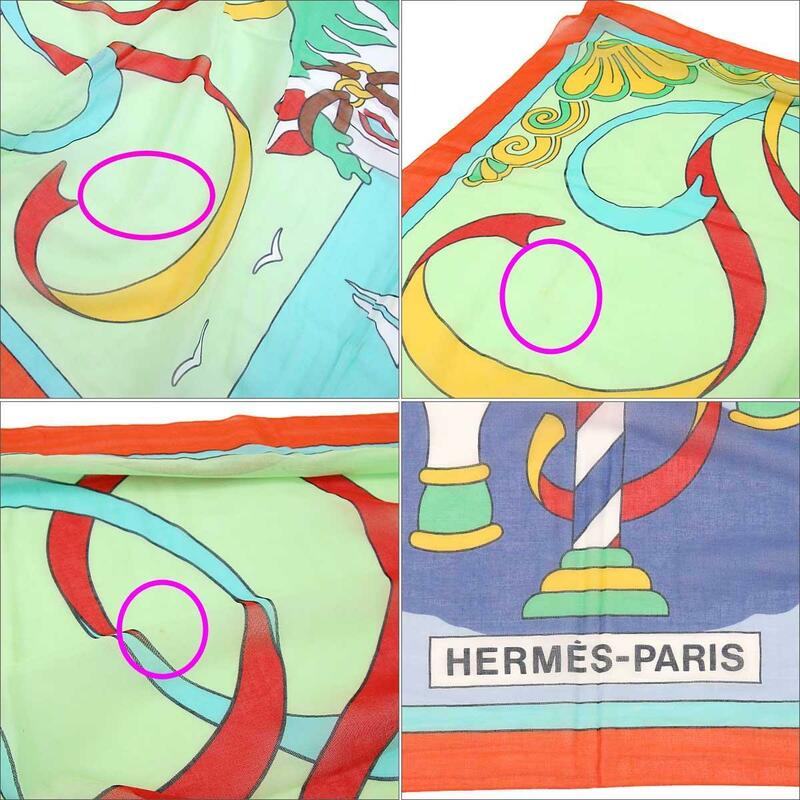 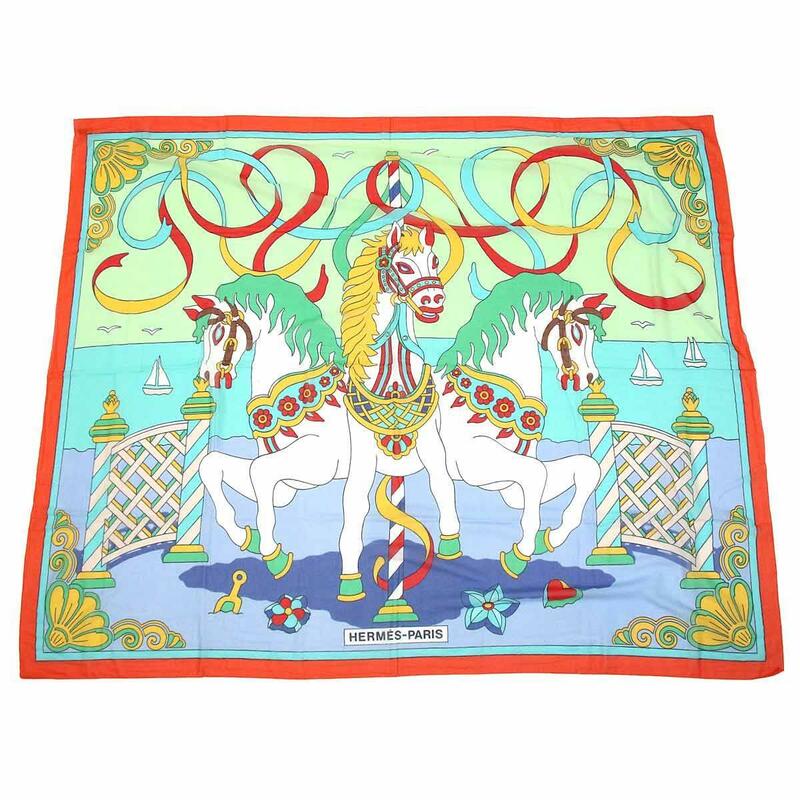 Unused Hermes Horse pattern Large-format scarf 100% Cotton [Small] ★ ー The best place to buy Brand Bags Watches Jewelry, Bramo! 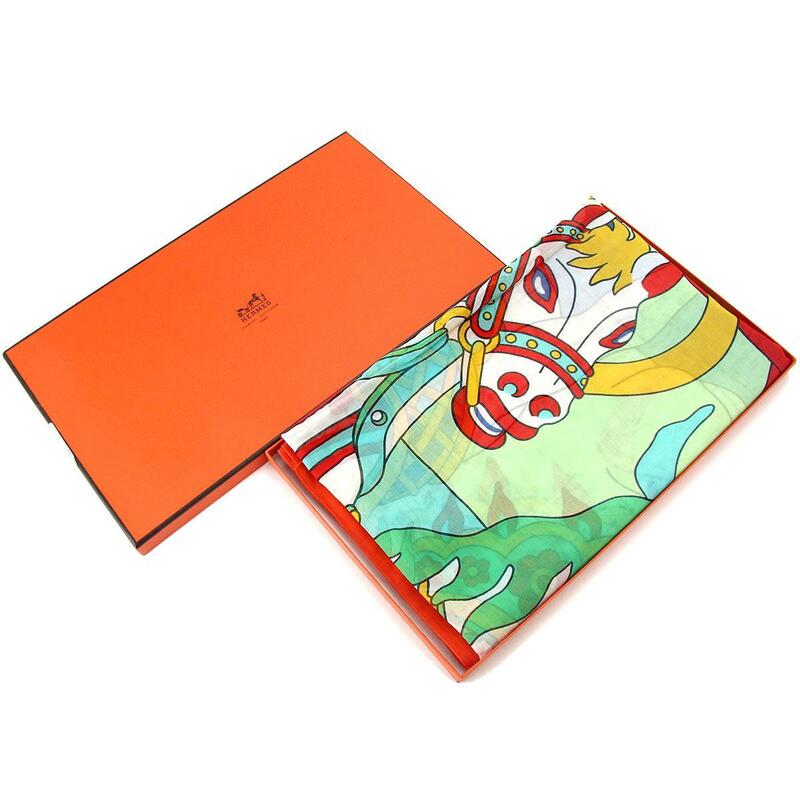 A large-format scarf made of 100% cotton that feels better than Hermes. 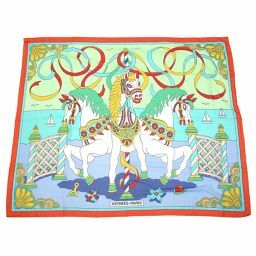 The design of the three horses is very dynamic. 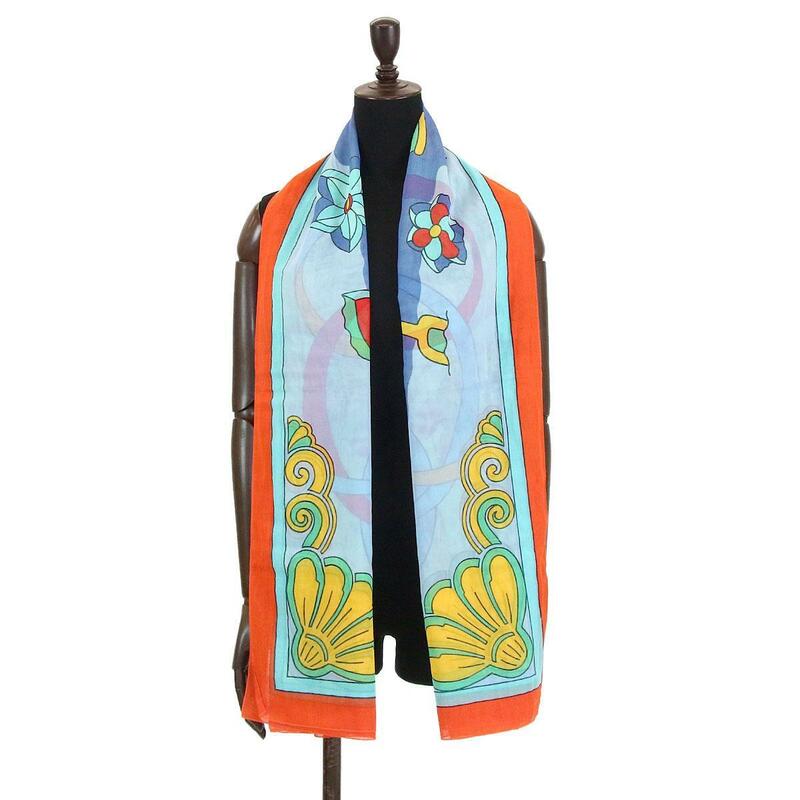 Vivid color, so it is a very colorful impression so it is not only wound around the neck but also around the waist, and it is a recommended item that seems to be an accent in a fashionable accessory and a hair accessory. 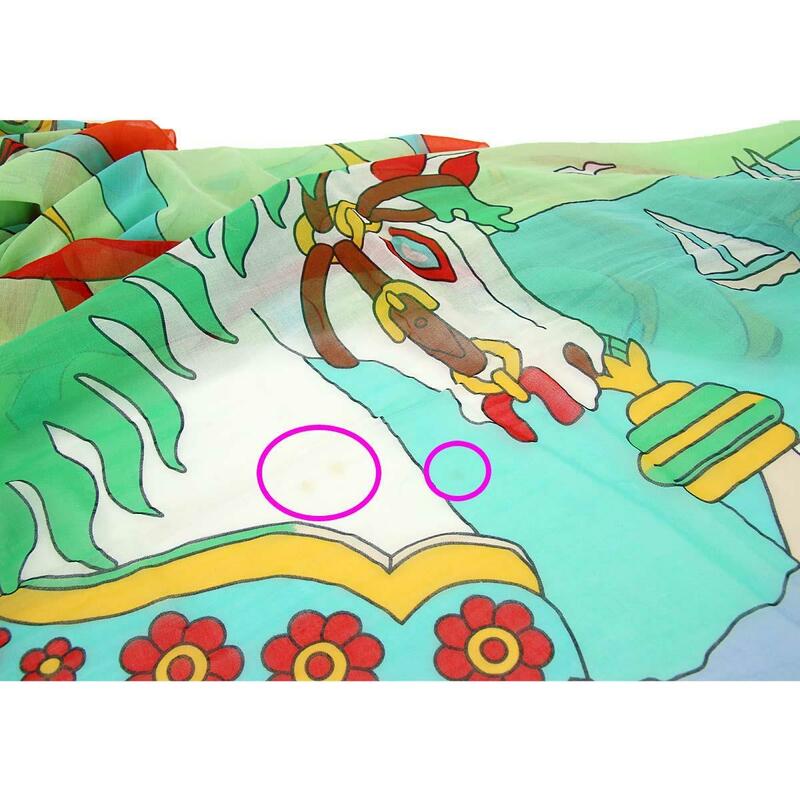 There are some spot marks and fold creases due to storage, but because of unused items, it is an item that you can use very beautiful all season.